DreadHeadHQ: detailed information on how to make and maintain dreadlocks. Helpful dreadlocks message board. Great Dreadlocks products. Awesome dreadlocks pictures. Dreadlocks.com: 5 methods on how to make dreadlocks. Dreadlocks products reviews. Great facts and rumors section on dreadlocks. PerfectDreadlocks.com: 11 different methods for making dreadlocks. Extensive dreadlocks FAQ. Great dreadlocks links. Lots of dreadlocks pictures. Even a dreadlocks history. Dreadlocks.us: How to start dreadlocks. Dreadlocks pictures section, How to wash dreadlocks. 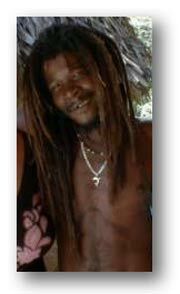 Dreadlocks.name is Knatty Steve’s dreadlocks journey.